The BritRail London Plus Pass is similar to the standard BritRail Pass, except that it is limited to southeast England. This pass is perfect for day trips from London including excursions to Bath, Brighton, Bristol, Canterbury, Cambridge, Oxford, Salisbury, Southampton and Stratford-upon-Avon. This pass is available as a flexi pass with your choice of three, four or eight travel days within a one month period. You can buy the BritRail London Plus rail pass outside the UK with delivery to Australia, Canada, New Zealand and the United States. Click below for details about international prices and international delivery. 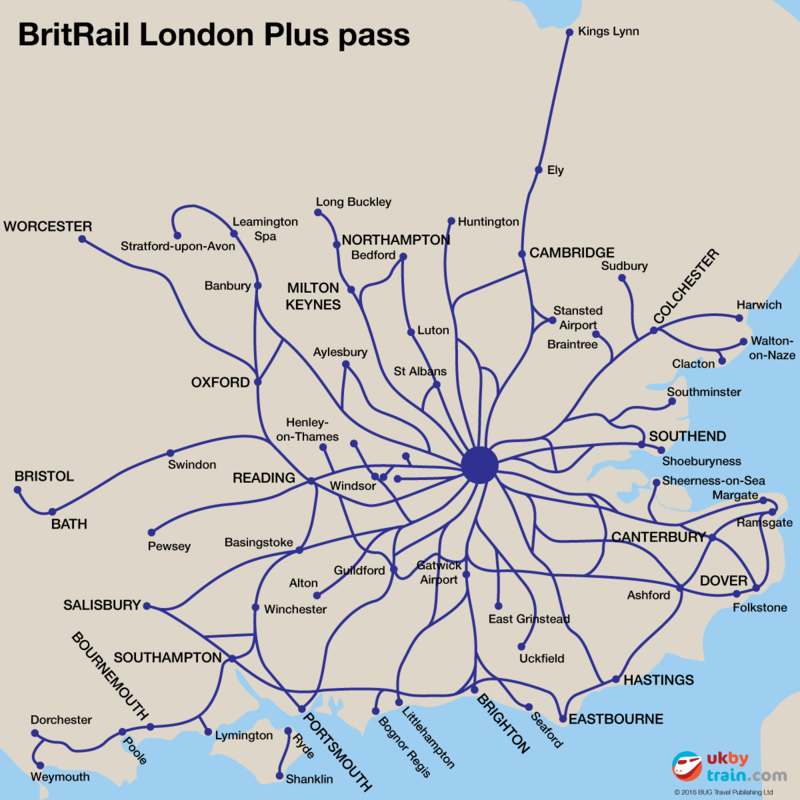 Where can the BritRail London Plus pass be used? This pass is good for unlimited rail travel in southeast England and is ideal for day trips from London. The BritRail London Plus pass is ideal for day trips to Bath, Brighton, Bristol, Cambridge, Canterbury, Oxford, Salisbury (for Stonehenge), and Stratford-upon-Avon.